High times for the challenges! 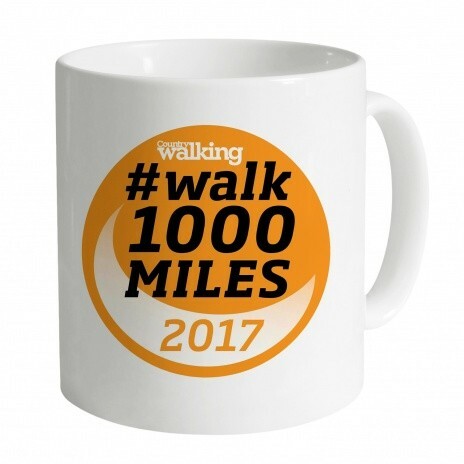 Absolutely delighted to get a buzz from reception the other day to inform me “Someone from #walk500miles here to see you”. (At least, delighted once I’d racked my brain in search of a forgotten arrangement, and found nothing.) Turned out it was Phil, newly-retired, who happened to live not far away, and who thought it would be fun to rack up some miles collecting his free badge in person rather than sending off for it. Capital idea – and a nice bookend to a month that began with a chance meeting with two walkers from 10,000-mile-distant Tasmania not far from my house (you can see them in the new CW). Both encounters reminded me just how friendly the world is when navigated on foot, and how full of happy accidents it is too. I bet you’ve seen things, met people and perhaps established friendships you never would have were it not for this challenge, and I love seeing the evidence in our Facebook groups every day. Here’s to a month warmed by the season, and a world warmed in however small a way by walking. Enjoy the newsletter! It's flippin' brilliant and lots of you are in it! Click the cover or below to order your copy, delivered overnight direct from us with free P&P. Use the arrows to switch between completers. (On your phone? Turn it on its side to read the words!) Read more from our fast-growing group of finishers in the next CW! The best things have been the variety of different places I've walked and discovered through doing the challenge. And I'm exploring my locality a lot more. I celebrated with a pint of cider. There's still six months to go so don't be disheartened, you'll be surprised how quickly the miles total up. I've been sober and fitter than ever before and the amazing places walking has taken me has changed my life. Just keep putting one step in front of the other. It seems a long walk but if you walk as far as you can each day then the miles will soon add up. Good luck! Hubba-hubba, someone's going to get a pair of these in the post. Newsletter exclusive! And one of these too! They are the gorgeous Scarpa Kailash Pro boots (£190) and the high-performance Deuter Helium 34 rucksack (£100). The Kailash Pros are the perfect choice for walkers looking for a traditional style of boot built with modern materials and techniques. Based on Scarpa’s legendary BX last, the Pro versions utilises a rich 1.8mm calf leather, weather protection from Gore-Tex, and a protective rand for added durability. All this sits on top of a Vibram outsole meaning the Kailash Pro is perfectly at home on the British fells and hills. The Helium 34 is a versatile year round hiking pack, featuring an Aircomfort Flexlite back system for maxiumum breathability, fit, and comfort and featuring an anatomically shaped hipbelt and harness, plus detachable rain cover. We've got one each to give away to one lucky winner. All you have to do to enter is submit a photo of yourself with your progress tracker OR the new issue of CW. We'll draw the winner at random on 18 July. Not got your badge? 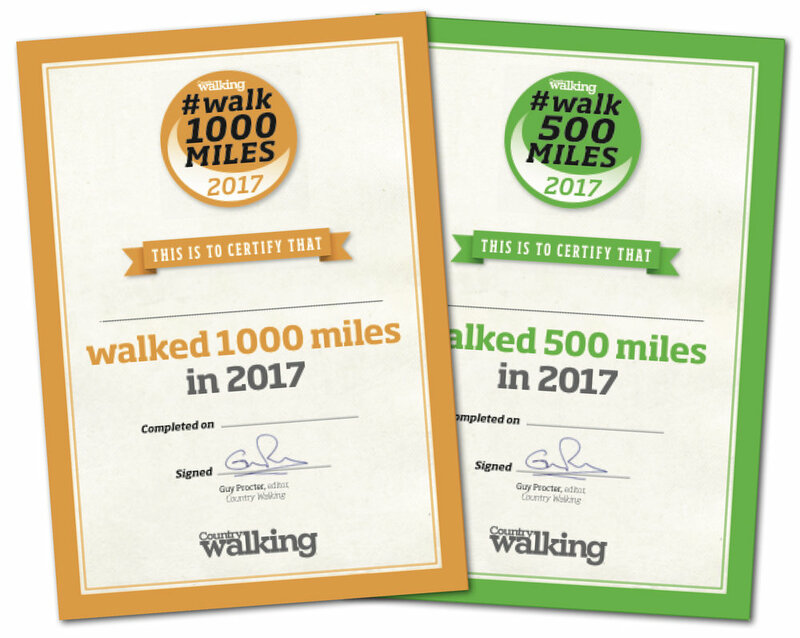 You can claim a 500 badge FREE using the new issue of Country Walking. Doing 1000 miles instead? You can buy 1000 badges here. (In both cases, please allow 28 days for delivery, although we aim to do better). 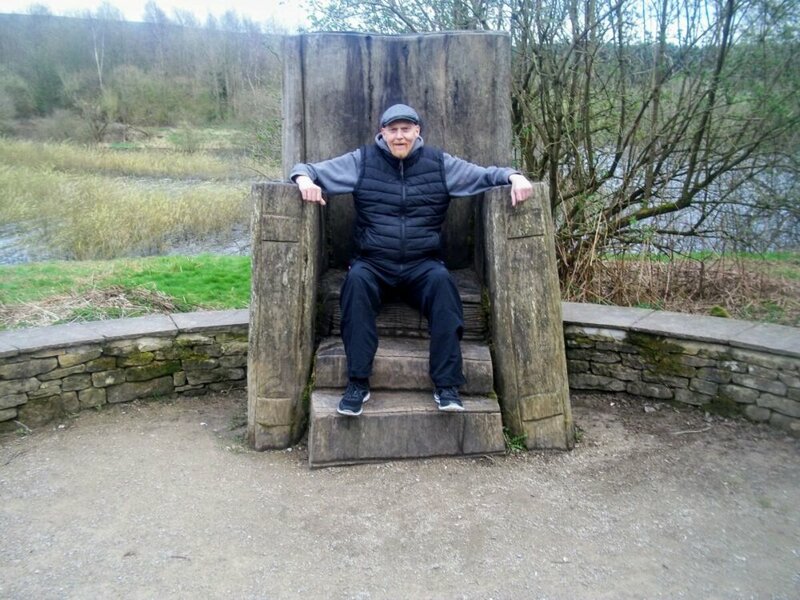 I’ve never walked up a mountain in my life – or indeed anything close – apart from when I was hiked up Snowdon in a baby carrier on my dad’s back at the tender age of one-ish. I hadn’t really thought about that when I signed up to do something called the Lakes 4 Peaks Challenge – a charity event which involves trekking up the four highest peaks in the Lake District in two days. 'The Lakes', I thought. 'All rolling hills and pretty countryside. That sounds do-able'. As with most of my challenges, I roped in my best friend Becky to do it with me. For moral support, and because I know if anyone will get me to the end it will be her. She’s put up with my moaning on many occasions! Plus she had never been to the Lakes, so it was a great opportunity to experience its beauty. We signed up, we started fundraising for the Cystic Fibrosis Trust in support of a mutual friend and then we couldn’t back out. After a terrible first night’s sleep we set off at 7am to tackle Scafell Pike and Sca Fell. From zero to England’s highest mountain. The weather was so awful, so we couldn’t really see anything. But we had two experienced guides with us who were amazing and helped every horrific step of the way. Somehow, we reached the summit after a good four hours climb. We'd done it, yes! 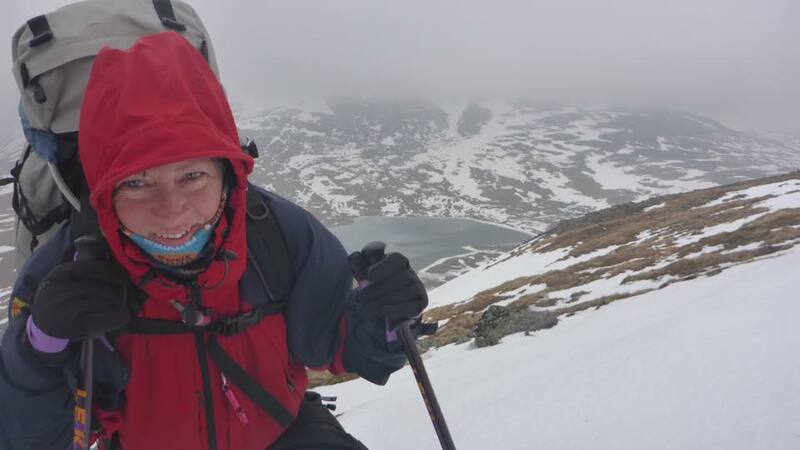 But the euphoria was quickly replaced by a desire to get the hell off the top as the weather really set in: hail and strong winds which sent the hail directly into our faces at speed. Ouch! We inched down and went via Mickledore up to Foxes Tarn to the summit of Sca Fell. It was raining hard by this point – and we had to scramble up wet rock and waterfall, the fear of certain death in our hearts. Somehow we made it to our second summit, saw nothing as the weather was so awful and then headed back down, spending plenty of times on our bottoms on the wet scree. We were freezing, soaked to the skin and knackered! The second night’s sleep was much heavier than the first! The next day we set off at seven for Skiddaw – billed as the easiest of the four and the lowest. But with sore legs from the first day it felt like we would never get up there. About halfway up, the cloud descended and the rain started again. It was at this point Becky decided she really didn’t like the Lake District! We were already cold and wet from the day before, and the conditions at the top were just awful. We got up there in about 3.5 hours but the descent was rather faster! With only time for a quick lunch in the minibus, we were soon on our way up Helvellyn, our final peak. It had stopped raining and we were all praying for just one summit where we actually got some views. We went up the most straightforward ascent from Thirlmere which felt to me like walking up the longest staircase I had ever been on. All the way up I was worrying about having to come down the same way… my poor knees! It’s only two miles but two miles directly upwards…where were the meandering gentle inclines I had been imagining?! The amazing views back over Thirlmere kept us going. It was still freezing at the trig point but we could actually see and it wasn’t pouring with rain. But the relief of making the final summit and Knowing a glass of fizz was waiting for us at the bottom helped as we set off back the way we had come, glad we weren’t tacking any of the ‘edges’. Looking back, despite the pain, the terrible conditions and the lack of views, somehow I feel as though I had an amazing weekend! We laughed a lot. We made some really good friends. We summited four of the highest peaks in England and raised over £2500 for the Cystic Fibrosis Trust. So the next question is…… what next???! Pam wing-walks! Baby hedgehogs! A horrifying sight on a beach! headphones on – It's the June video! 10 Jayne bumped into someone up past their bedtime! 9 First time boots on after chemo. Go angela! 8 Pointless styles? So last month – pointless gates is what it's all about! 7 Becca completes three amazing firsts in one walk! 6 Susan's son Paul had a massive badger moment! 4 Gina got the best birthday cake ever! 2 Zezel doesn't look like this anymore! 1 OMG! Jenny meets a sleb! 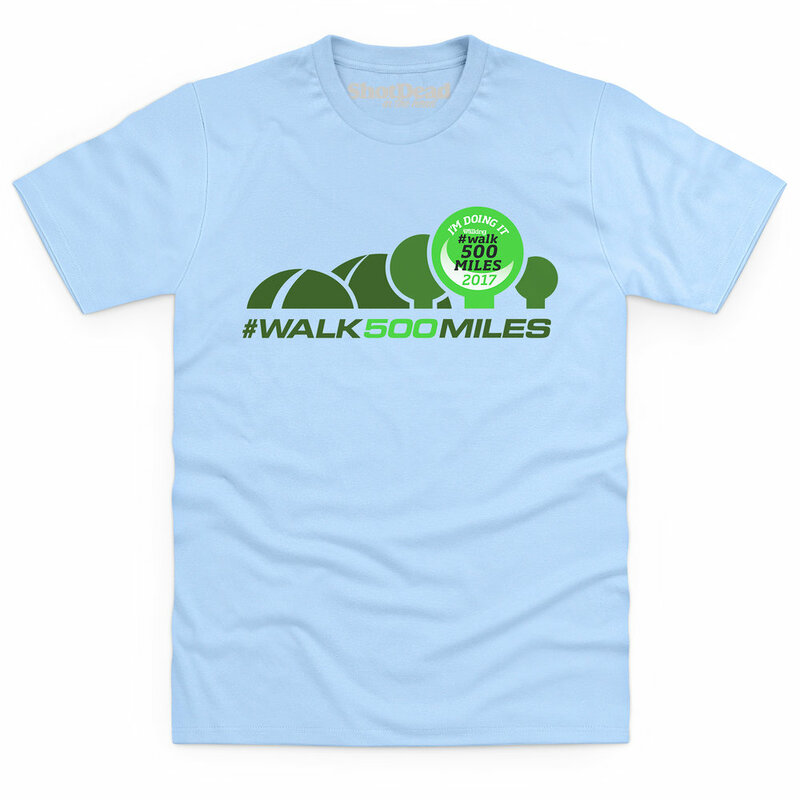 Plus use the code WALK10OFF at checkout to get 10% off t-shirts, mugs and hoodies. 4 No wonder Sheila looks happy – 275 not out! 3 Why Mair is so proud of this picture! 2 The amazing crutch-hiker Alison! 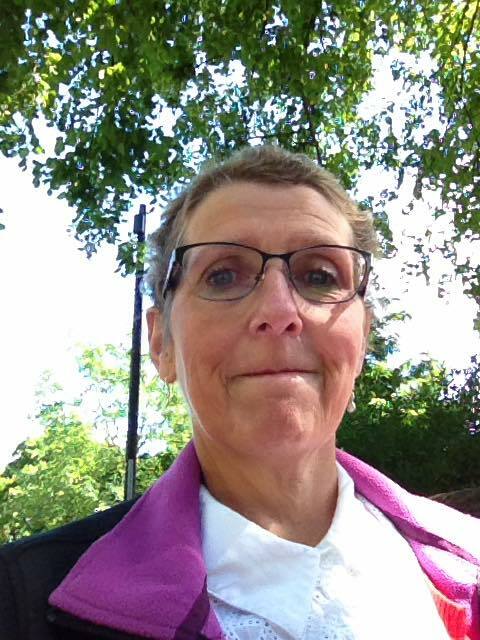 1 'I haven't posted before, but I just had to tell someone...' Go Gaynor! Meet you back here next month to reveal the winners of all those Bridgedale socks from the July issue!